NEW YORK (WABC) -- It's being billed as the aircraft of the future. 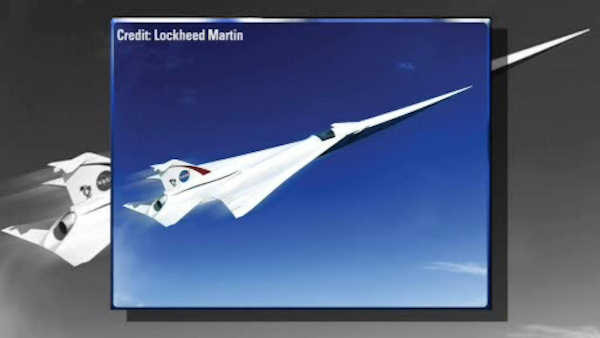 NASA unveiled plans Tuesday for a supersonic aircraft called QueSST, that would travel at roughly 1,100 miles an hour. Today's passneger planes travel at around 600 miles an hour. QueSST would rival speeds set by the former Concorde, but without causing sonic booms. The space agency has granted a $20 million contract to Lockheed-Martin to develop a passenger jet able to fly faster than the speed of sound. The Concorde reached speeds of more than 1,300 mph.